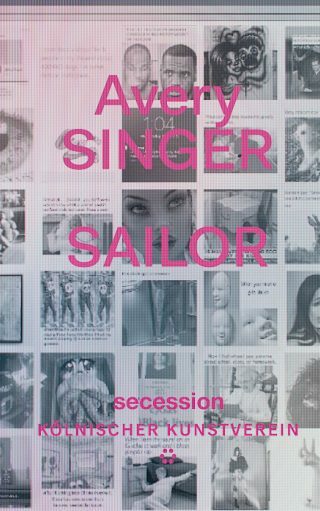 The Secession presents the work of the young American painter Avery Singer, whose innovative art effortlessly integrates references to art history and contemporaneity with an exploration of the underpinnings and mechanisms of digital media. 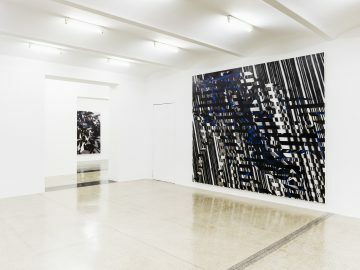 In Sailor—the exhibition is the artist’s first solo show in Austria—Avery Singer displays a series of new pictures in large formats. 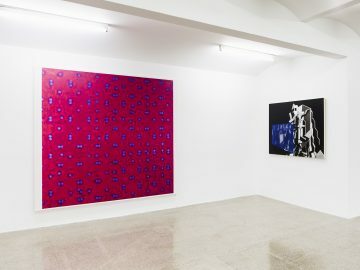 Where her earlier work often scrutinized stereotypes and the rituals of the art world, a recognizable shift toward abstraction predominates in her most recent paintings. 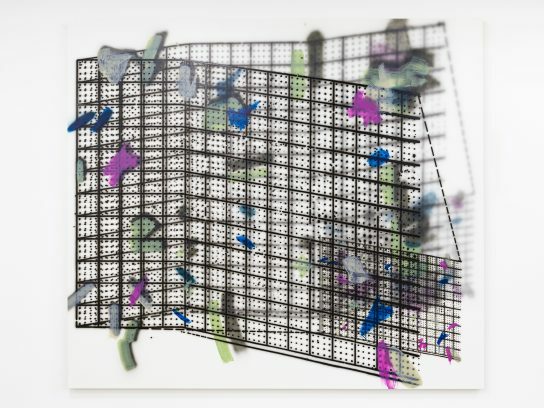 The most salient features are projected surfaces, screens within the picture, and shadows that take on a life of their own or sprawl over the bodies and objects like nets. 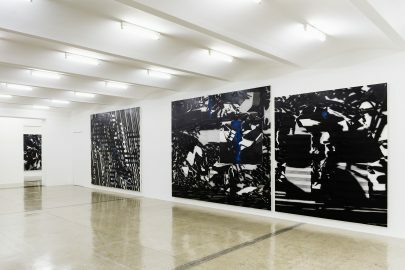 The resulting novel pictorial spaces are characterized by an irritating interplay between the illusionistic depth of the painted volumes, the various planes of which the pictures are composed, and the flatness of the meticulously finished surfaces. 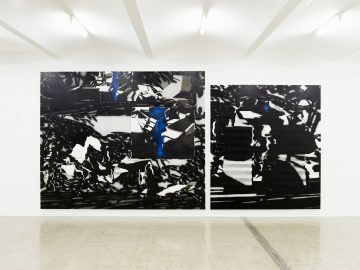 Singer’s compositions and boxy figures are based on vectorized bodies and ensembles of things she constructs on the computer using the amateur software SketchUp before projecting them on the canvas and airbrushing them. 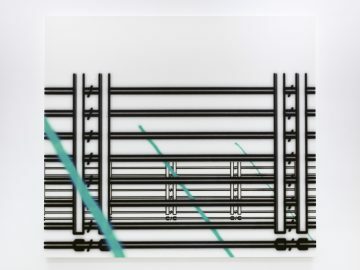 In a new series of works conceived for the show at the Secession, Singer has taken the use of digital technology in the process of creating forms and finding compositional solutions a crucial step further, employing a computer-controlled large-scale industrial airbrush printer. The device not only allows her to generate details and surfaces that could not be manufactured by hand, it also lets her confront painting with its own history by dismantling the ostensible opposition between the digital world and painting. 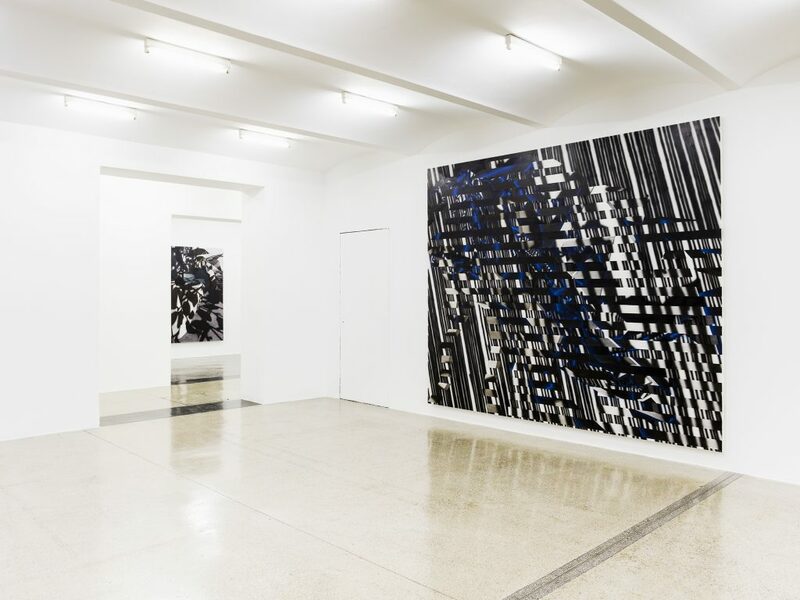 After closing at the Secession, the exhibition will travel to the Kölnischer Kunstverein, Cologne, where it will be on view from April 27 until June 11, 2017. 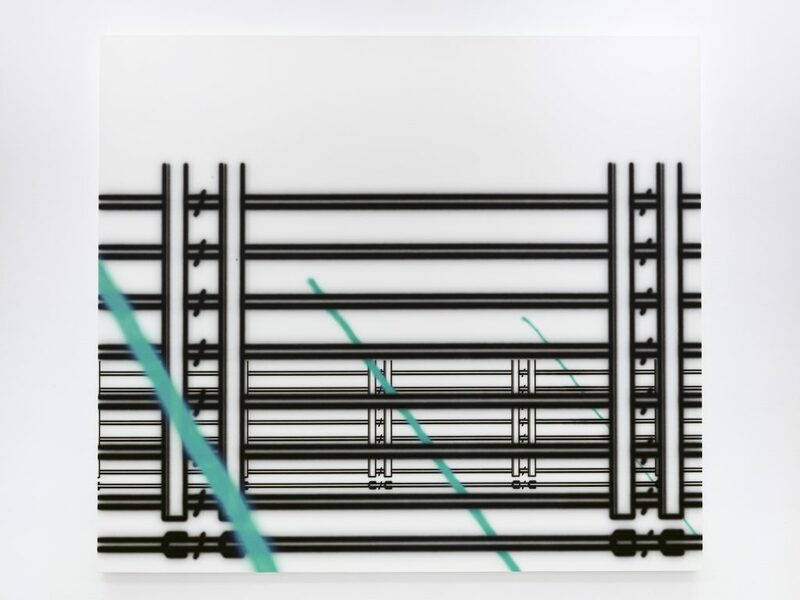 Avery Singer, born in New York in 1987, lives and works in New York.